Francis, Francis, Francis… I tried to like you, I really did – or, more precisely, I tried to like House of Cards, the American reimagining of what may have been Ian Richardson’s best performance. It had excellent production values, good actors and a lot of potential, but in the end I failed to warm to it, which may well have been by design, but neither was I chilled by the series or its calculatingly evil protagonist. For too much of the time I was left deeply indifferent to the intrigues in Washington DC. It’s a shame, really: the raw materials were there. 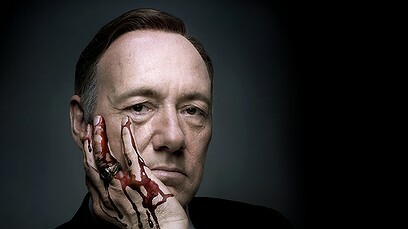 Kevin Spacey has proven that he can play lying, scheming yet deeply human monsters such as Richard of Gloucester, and he’s adept at the kind of character Francis Underwood is and how he relates to the audiences: making them his confidantes and, eventually, implicating them in his cynical plans. However, as Richard III he had one of the best scriptwriters ever, and that’s what was missing in House of Cards, doubly so because compared to its BBC predecessor it had roughly three times the screen time to fill. I often complain about US series with 20+ episode seasons needing to build in filler material, turning flabby in the process, but House of Cards was flabby at thirteen episodes. Plots meandered, characters went through the motions, repeating variations on the same scene over and over – and where the series could have scored points with witty lines, it fell flat with dialogues and asides to the audience that, quite simply, weren’t smart enough. Frank never made the prospect of the audience’s complicity fun, and as a result I never felt I was made complicit in his crimes. The trick to pulling off a Richard III has to be a long con, charming the audience into rooting for you even when it knows you’re no good for it in the long run. Perhaps House of Cards wasn’t trying to go for what made the BBC version tick, but if so, it should have dropped the UK version’s (and Shakespeare’s) formal strategies. Frank Underwood isn’t charming in that coldly droll way that Francis Urqhart was. It’s not fun watching him construct his schemes and bringing them to fruition. House of Cards flirts with being a pitch-black comedy, but in the end it goes for drama, which weighs it down to an extent that makes too much of the series leaden. It has moments of genuine drama when it deals with flawed human beings that can evoke our sympathy – most of all in Peter Russo, the doomed, sad pawn in Underwood’s game – but too often the drama comes across as perfunctory and generic. The main victim of this is Frank’s wife Claire, played better by Robin Wright than the clichéd material deserves. In the end, the drama doesn’t work for me because the character at its centre is hollow, yet the series fails to understand this. Protagonists that are revealed to be empty can work, but this requires smarter writers than House of Cards has, and while the series occasionally hints at things going on inside Underwood, this comes across as lip service. We get an episode which is obviously supposed to reveal that there’s more to the character than is immediately apparent, but the episode seems to have wandered in from a different series, and it wanders off again as soon as it’s over. Having seen season 1, I’d say the potential is still there – but I can also say that I have little confidence in the series’ writing team to pull off that potential. In the end, I could never shake the feeling that I’d rather be watching Ian Richardson – or that grandpappy of powerhungry schemers, Richard III himself. What’s the best thing about an11-hour flight? It can’t be the dodgy movies on the in-flight entertainment system, can it? (I once failed to go to sleep on a flight that showed Marley & Me and Paul Blart: Mall Cop on all the screens. The lambs have barely stopped screaming on that one, Clarice.) Well, yes, it can, on one of those snazzy new planes where even down in Economy Class, with all the third class Oirish having a fun time before the plane hits the iceberg, you have a choice of oodles of films, music and games. And since Who Wants to be a Millionaire? loses its interest after a handful of games, especially when there’s no oily showmaster-wala with an Indian accent to foil your attempts to get the money and the girl, I decided to dedicate at least some of my flying time to watching first The Men Who Stare at Goats and then The Fantastic Mr. Fox. Men, goats, intense stares… George Clooney, Jeff Bridges and Kevin Spacey – what could go wrong? Well, it’s not so much what went wrong; it’s more that way too little went right. The film is a brilliantly cast neat idea spun out over 1 1/2 hours, which makes for a great trailer (minus Ewan McGregor’s horrid American accent) and a decidedly mediocre film. It isn’t really worth saying all that much more about it, except to bleat mournfully. The Fantastic Mr. Fox, though? I’m still surprised to say that I genuinely enjoyed it. I’ve had problems with the two Wes Anderson films I’d seen, The Royal Tenenbaums and The Life Aquatic. Anderson’s a great aesthete, but his style got in my way of enjoying both movies to a large extent. The problem is that the films and their characters are so stylised, in their looks, behaviour and neurotic quirks, that they feel wholly static – so when the plot contrives to make them tragic, I don’t buy it. The pathos turns into mawkishness, and when it kind of works in spite of the artifice, it’s largely due to the borrowed emotions of the songs Anderson chooses. To my mind, characters can only become tragic if there’s the illusion that they are free, or at least struggling to free themselves, from the master puppeteer that is Fate, the Script and/or the Director – Anderson’s characters have often struck me as being puppets at the mercy of a master stylist who doesn’t have freedom anywhere on his palette. I suspect that what makes Mr. Fox work for me is this: animated films are stylised to begin with. They are entirely created. And ironically that makes Mr. Fox feel less constricted by Anderson – whereas real people in a live-action film are made less unreal by the artifice that seems to be his favourite stylistic choice, the animated foxes, moles, possums and badgers, not to forget farmers Boggis, Bunce and Bean (one fat, one short and one lean), are infused with humanity, for want of a better word. The style becomes a part of the whole rather than being the whole and thereby threatening to suffocate both the actors and the characters. The Fantastic Mr. Fox is very clearly a Wes Anderson film – the look, feel, costumes, even the character setup (father-son conflict anyone?) feel familiar… but by sidestepping live-action for once, Anderson’s made the first film that, being entirely artificial due to being animated, feels real to me.